Normally each year you can look in hindsight and find a reason for a horse winning the Melbourne Cup, and then bash yourself for not having a few dollars on it. As wise as we so often are in hindsight, only a total loon could find the answer this year. Even Prince Of Penzance’s second place in his final preparation race 10 days before the Melbourne Cup, all that told us was there was a far superior alternative. As much as Prince Of Penzance ran well in the Moonee Valley Cup, he was walloped into second by The United States, and in track record time. Also, the MV Cup itself, it’s been notoriously a poor guide for 25 years now. Is it any wonder “No hope” was the common conclusion given to Prince Of Penzance for the Melbourne Cup? If not explicitly, it was certainly by acquiescence. Not one single commentator or racing expert could even have Prince Of Penzance as their “rough” chance. He shared the title of rank outsider with one other horse at $101. Why did Prince Of Penzance win the Melbourne Cup? Quite simply he was the right horse at the right time in the right Cup. 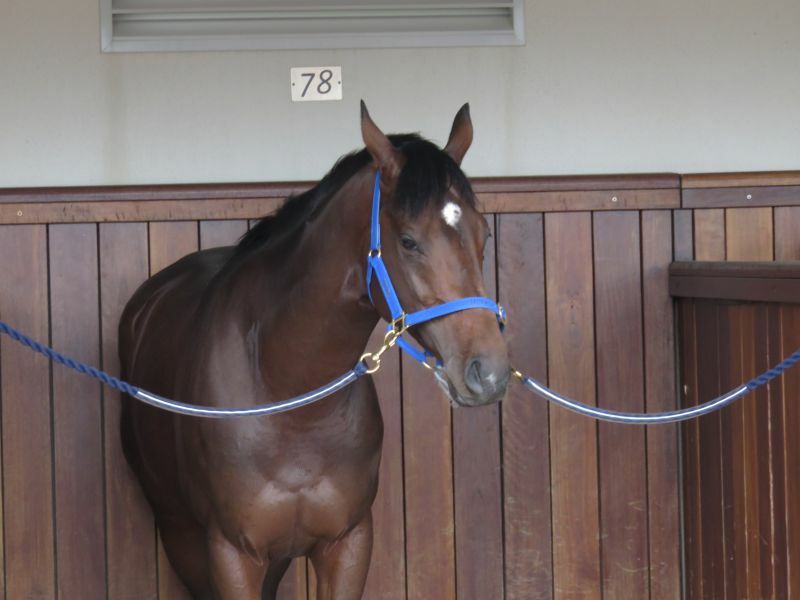 Put him in most other Cups and the trainer’s best hope of a top 10 would be the most likely result – if he’s lucky. Michelle Payne wins the 2015 Melbourne Cup on Prince of Penzance, becoming the first female jockey to ever win Australia’s greatest race. 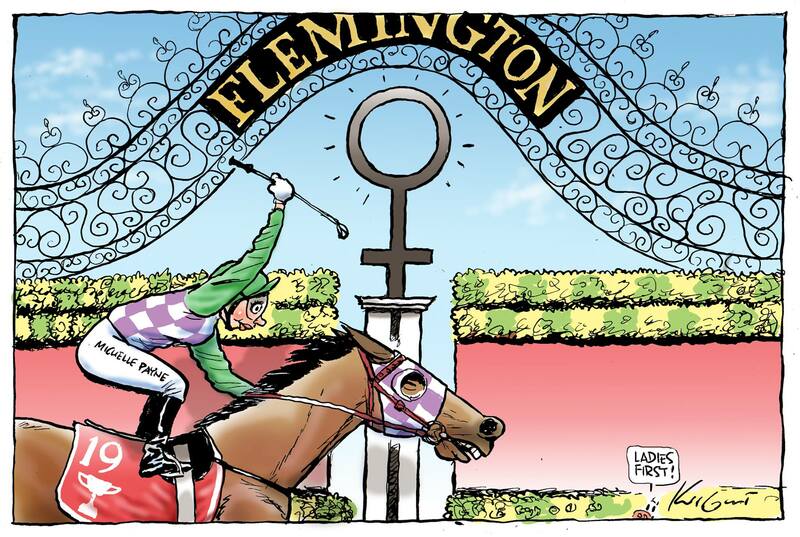 A beautiful depiction here by Herald-Sun cartoonist Mark Knight. 1) The most advantageous reason was the ridiculously slow pace of the race. On good ground, they ran 7 seconds outside the race record. They ran the last 400m in 22.6 seconds, which was a second faster than the winners of the much shorter Caulfield Cup and Cox Plate. As a sit and sprint, no horse from beyond midfield could win the race. 2) Outside 10 metres wide in the home straight, the track was soft. Even with a fast tempo, back-markers would still have been at a big disadvantage having to swoop wide. This soft ground was caused by that part of the track used for training gallops the week prior, and then it rained on the Saturday, causing the section to absorb more moisture. While it sounds like calamitous stupidity, the track managers were unlucky. There’s always practice gallops and more rain arrived than expected. 3) Several potential challengers suffered interference, notably Criterion and Gust Of Wind. Max Dynamite caused the main interference, when veering out and pushing Gust Of Wind onto a bunch of other horses. Big Orange drifted in to block Our Ivanhowe a potential run, while the minor shifting of Excess Knowledge out and Trip To Paris in combined to squeeze Criterion (briefly halting his progress), Who Shot Thebarman (already peaked on his run) and Snow Sky (already tiring). 4) Last and not least, the brilliant ride by Michelle Payne. Sitting on the fence behind Criterion and Max Dynamite, with 1000 metres to go, she elected to leave the fence and search for a run wider. By the 800 metres mark, she was outside of Max Dynamite and following the run of Trip To Paris, who sat outside Criterion for the trip. From there it was race over. Sky Hunter, who was outside TTP, tired upon entering the straight, which allowed Prince Of Penzance clear passage past TTP. Max Dynamite was still stuck behind horses, only getting clear with 250 metres to go, after checking past the heels of both TTP and POP. The Caulfield Cup again proved a poor form race. Trip To Paris (2nd in it) finished fourth in the Melbourne Cup, Our Ivanhowe (3rd) 10th, Gust Of Wind (4th) 6th, Snow Sky (5th) 23rd and Fame Game (6th) 13th. The CC winner Mongolian Cup did not run in the MC due to illness. 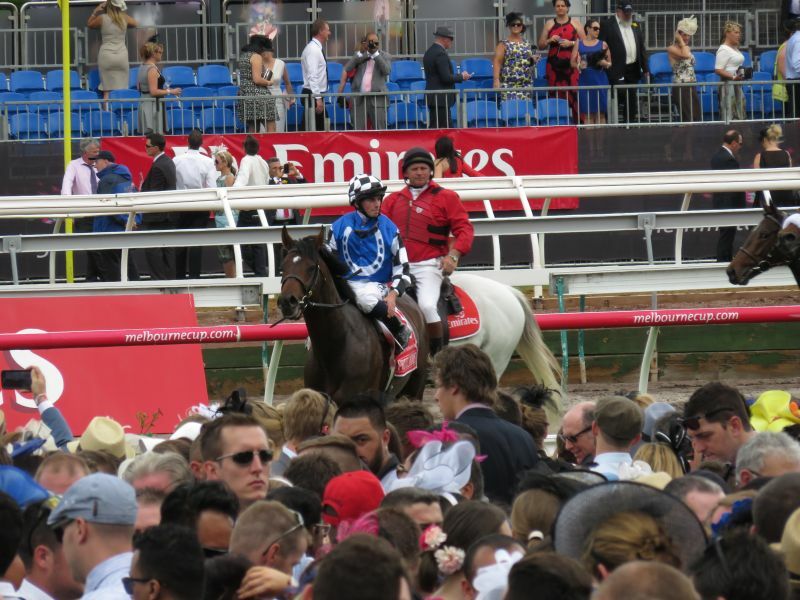 The Geelong Cup continued to be a rubbish form race in recent years. Almoonqith (1st) finished 18th. 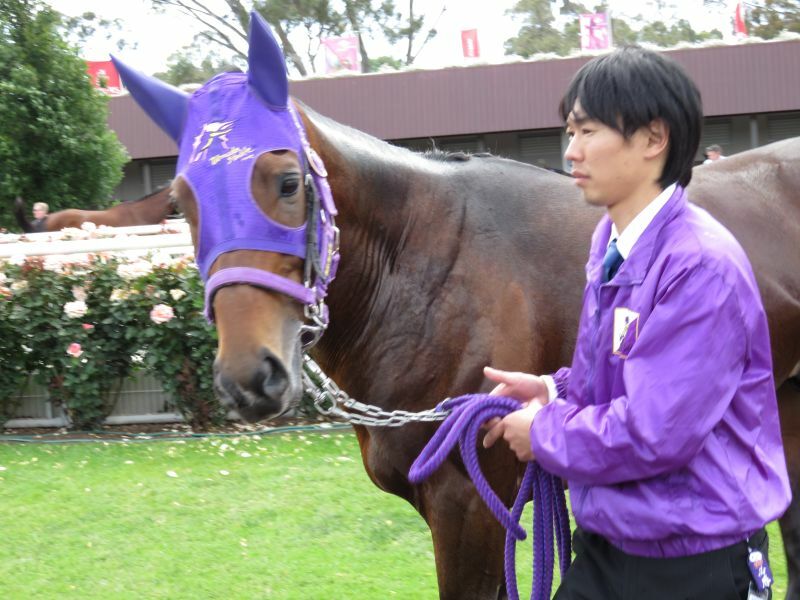 The Ascot Gold Cup (English race over 4000m) winner again failed to win the 3200m Melbourne Cup (5th). The sprint that Trip To Paris showed in the Caulfield Cup was sadly missing. He had a great run, loomed up like the winner and could not go on. He’s the one big disappointment of the race. Other Europeans that failed to sprint were Big Orange (led into the straight), Snow Sky and Quest For More. International runners without a lead-up run in Australia mostly failed. The best result was Max Dynamite in second and Big Orange in fifth. Then you look at Bondi Beach 16th, Kingfisher 19th and Sky Hunter 22nd. It would be unfair to include Red Cadeaux, who despite not looking a winning chance, sustained an injury and did not finish the race. Even in a slow Cup, it seems several decent chances didn’t run the trip: Preferment, Our Ivanhowe, The United States, Sky Hunter, Hartnell, Bondi Beach and Almoonqith. Mostly it was a Cup to avoid drawing too many concrete conclusions. The slow pace and the uneven track hurt Fame Game and any other horse out wide; interference hurt Criterion, Gust Of Wind, Quest For More and Who Shot Thebarman. Others down the list including Preferment (20th) and Hokko Brave (17th) had no hope anyway despite the interference, because they were so far back. Winning a few dollars is only a bonus. The real enjoyment comes from watching the race as a spectacle and enjoying the result. We got one hell of a result this year and a tremendous story with the first female jockey winning the Cup, on a $101 outsider, strapped by her adorable Down Syndrome affected brother Stevie Payne, and trained by your quintessential Australian bush trainer in Darren Weir. Then there was also the plight of Red Cadeaux, that upon seeing his strapper run onto the track, my heart sunk expecting the worse. It halted the enjoyment of watching Michelle Payne’s celebrations on Prince Of Penzance. Thankfully it all worked out fine with the fetlock injury not life threatening, and then I could to relive the celebrations on TV recording that evening. Payne’s a class act with so much poise and professionalism, Weir so humble and likeable, and, of course, not to forget Prince Of Penzance, so brave as all the horses are, and the true hero of the day. It was victory to saviour.